Our POUPON U caps are the pinnacle of fashion for the noggin. They are grey. As in GREY POUPON CAP. For a while, they were available in white but guys invariably got them so dirty that they looked … well, dirty. So we went to grey. No other colors. Imagine our shock when we discovered in our last shipment of POUPON U caps this single ketchup-red POUPON U cap. We immediately contacted the manufacturer. Was this meant to be a joke? No, it was not a joke. No one in the plant would own up to this ill-advised prank. But maybe it was not a prank. It may have been the work of sinister outside forces. The International Ketchup Kartel is up to its dirty tricks! The cap manufacturer assures us that they will NEVER again allow a ketchup colored cap to be made with the POUPON U logo. If that is the case — and we have no reason to doubt their promise — then this is the ONLY ketchup-red POUPON U cap in existence. Who wants it??? Bid on this rare piece of mustard history. Send an email to the Curator with your high bid. He will keep all bidders up to date. MINIMUM BID IS $500 and the proceeds of this auction go entirely to the nonprofit National Mustard Museum. Bidding closes on April 15, at which time the Curator will notify the highest bidder of his or her good fortune. 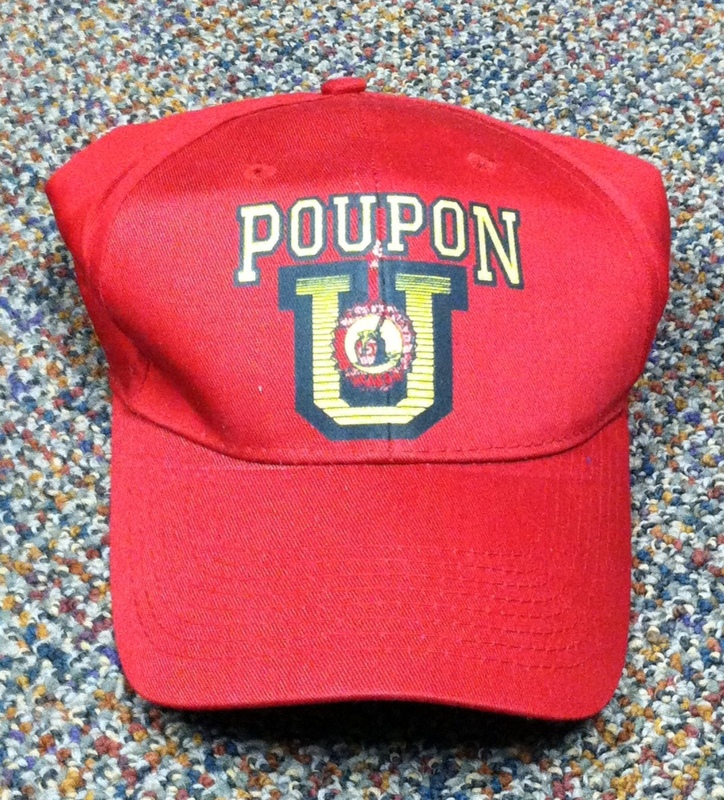 The only ketchup-red POUPON U cap in the world can be yours — and the satisfaction of supporting the National Mustard Museum with your generous tax-free donation.